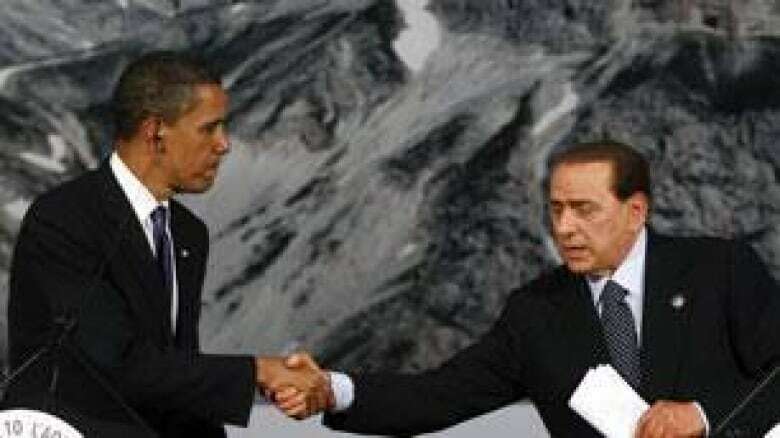 The global recession has slowed progress on a climate change deal, but leaders must "fight the temptation toward cynicism" and push forward, President Barack Obama told a meeting of rich and emerging powers in L'Aquila, Italy, on Thursday. While world leaders did not solve the problem, they "made some important strides forward," Obama said, speaking at the conclusion of a forum on the environment, which he chaired. Calling climate change "a defining problem of our time," Obama said: "It is no small task for 17 leaders to bridge their differences on this issue." Progress could still be made before talks on a new UN climate change treaty in Copenhagen in December, he said. The Group of Eight countries — Britain, Canada, France, Germany, Italy, Japan, Russia and the United States — set the goal of reducing their greenhouse gas emissions by 80 per cent by 2050, with the global goal of a 50 per cent cut. They also pushed the G5 countries at the summit — Brazil, China, India, Mexico and South Africa — to commit to an agreement that an increase in global temperatures shouldn't exceed two degrees Celsius. "It would not be productive if European countries, Japan, the United States and Canada accepted cuts that are economically damaging while more than five billion people in other countries carried on as before," said Italian Prime Minister Silvio Berlusconi. 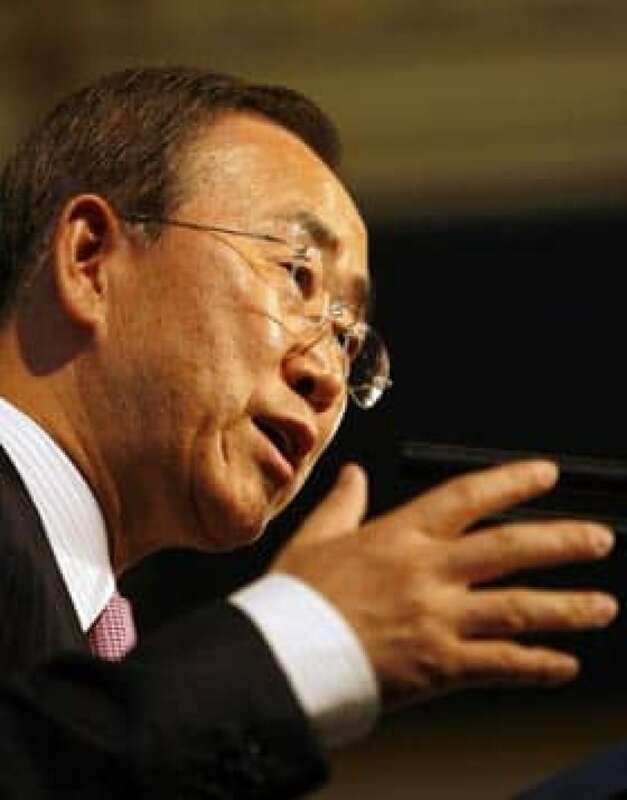 However, earlier Thursday, UN Secretary General Ban Ki-moon criticized the G8's plan on climate change, calling it unfair because it doesn't help developing countries to fully cut their own emissions. Ban suggested the G8 come up with a way to finance poorer nations to help them change their polluting growth pattern and adapt to the effects of global warming. "The policies that they have stated so far are not enough, not sufficient enough," Ban said on the sidelines of the G8 summit. "This is the science. We must work according to the science. This is politically and morally imperative and a historic responsibility for the leaders for the future of humanity, even for the future of planet Earth." The emerging countries have so far refused to commit to specific reduction targets. Some countries have balked at establishing further commitments ahead of the UN conference. They are also upset the industrialized nations have not been forthcoming with midterm emissions reductions. Some countries have also said they first would like to see the economic powerhouses provide financial help and technology to the developing world to combat global warming. Meanwhile, analysts have suggested Chinese President Hu Jintao's withdrawal from the meetings may reduce the chances of moving ahead on the climate change talks. Hu returned early to China to deal with ethnic attacks occurring in the country's western Xinjiang province. 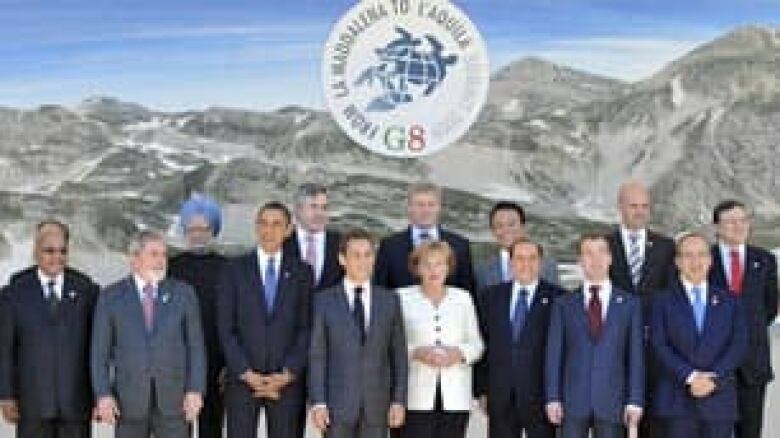 "Support from the G8 is only the first step in what is likely to be a long and difficult process," said Guy Caruso, a senior adviser for the energy and national security program at the Center for Strategic and International Studies, a think-tank in Washington. Prime Minister Stephen Harper called the resolution a "much stronger statement" than last year's G8 climate change communiqué, while British Prime Minister Gordon Brown called it "historic" and German Chancellor Angela Merkel said it was a "clear step forward." Speaking to reporters after Obama's speech, Harper said "the important advance here is that we have a consensus among developed countries on targets." However, he added, "we're still a long way from having everybody, including the large developing economies accept targets. That's the next step that has to happen." Canadian Environment Minister Jim Prentice said achieving the lower emissions by 2050 is only an aspirational goal of the developed countries. But it meshes well with Canada's plan to reduce its emissions by up to 70 per cent by 2050, he said. Canada will not need to change its policies to achieve that goal, he added. "They're all within the framework of reducing our emissions by 20 per cent by 2020, 60 to 70 per cent by 2050," he said. 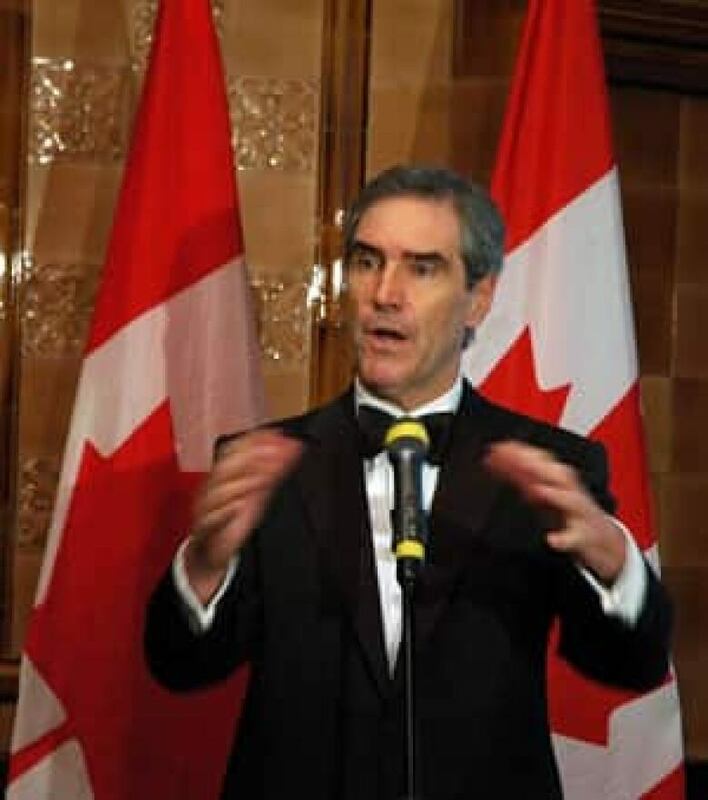 Liberal Leader Michael Ignatieff criticized the Conservatives' progress on the issue. "We have been laggards in this field," said Ignatieff, speaking in London, England. "We should be leaders. We need to be in the forefront." While the G8’s 2050 goal was a step in the right direction, NDP Leader Jack Layton said he hopes Harper won’t just talk about the issue but will take action. "We certainly know countries like Germany and the Nordic countries are miles ahead of where we are. They’ve understood the opportunities … to create green jobs, to fundamentally change the way we live," Layton said. The economy also remained at the top of the agenda at Thursday's meetings, with the G5 urging the other leaders to resume the stalled Doha trade talks, arguing that developing countries were particularly damaged by protectionist trends exhibited during the global economic crisis. According to a draft statement obtained by The Associated Press, that goal has been agreed to. The G5 is also calling for greater inclusion in international decision-making and is expected to raise the possibility of starting a new global reserve currency as an alternative to the U.S. dollar.